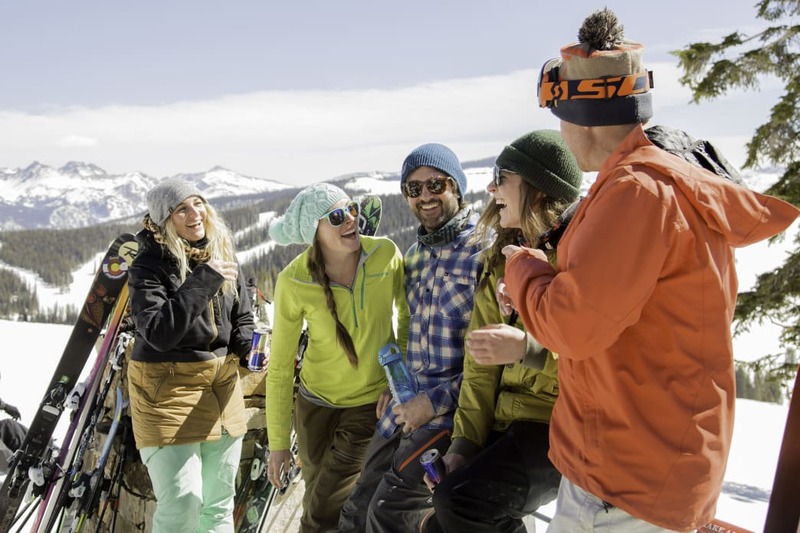 Since snowboarding entered the scene about 30 years ago, snow aficionados have had to contend with a major question: Are you a skier or a snowboarder? Any mountain town resident will tell you that your answer says a lot about you (although what they think it means depends, of course, on whether they’re a skier or a boarder themselves). The debate’s been raging for decades, and every few years, one sport or the other becomes more popular—and then, a handful of seasons later, things shift again. Like any long-term discourse, there’s no obvious or “correct” answer; there’s a lot more nuance to the issue. Ready to make the big decision for yourself? We’ve broken down the pros and cons. This probably won’t be the deciding factor. 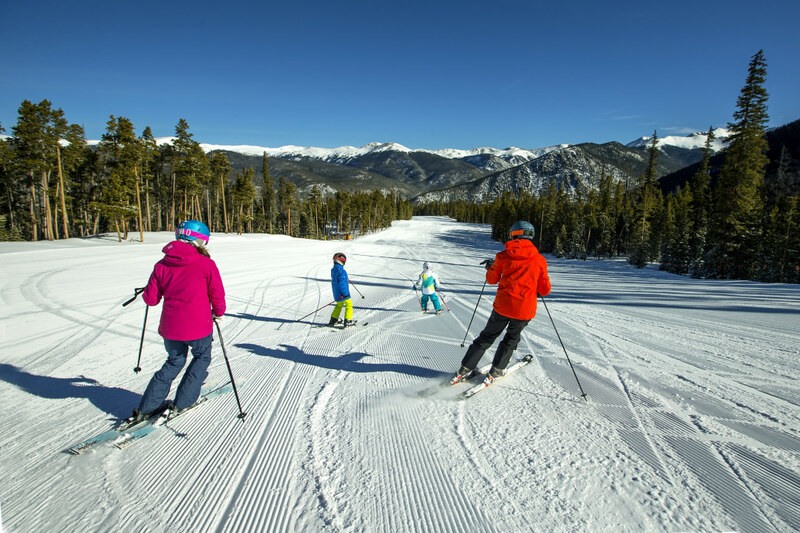 When it comes to cost, skiing and snowboarding are relatively evenly split. 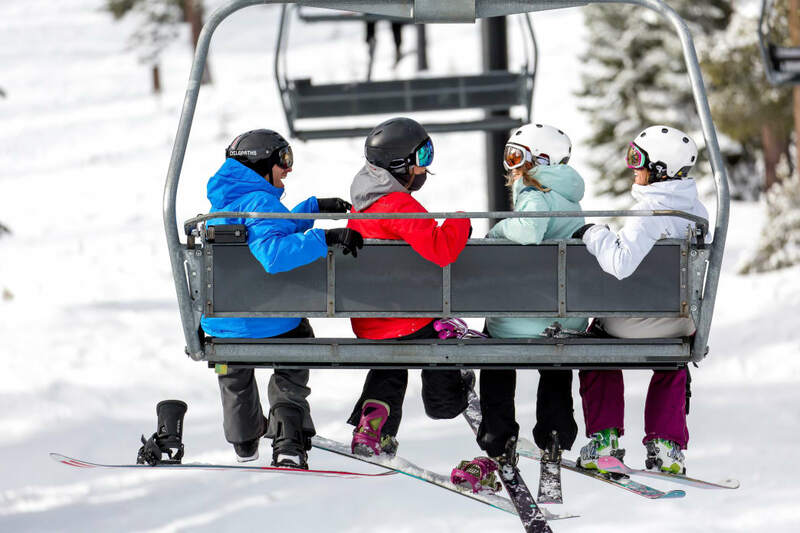 Lift tickets are the same price whether you’re on two planks or one, and transport to and from the mountain is the same regardless of what equipment you have with you. Your outerwear can be interchangeable (of course, fashion and culture may dictate a wardrobe change, but that’s up to you). As far as the skis or board themselves, the cost—to buy or rent—isn’t significant enough to really influence your decision. 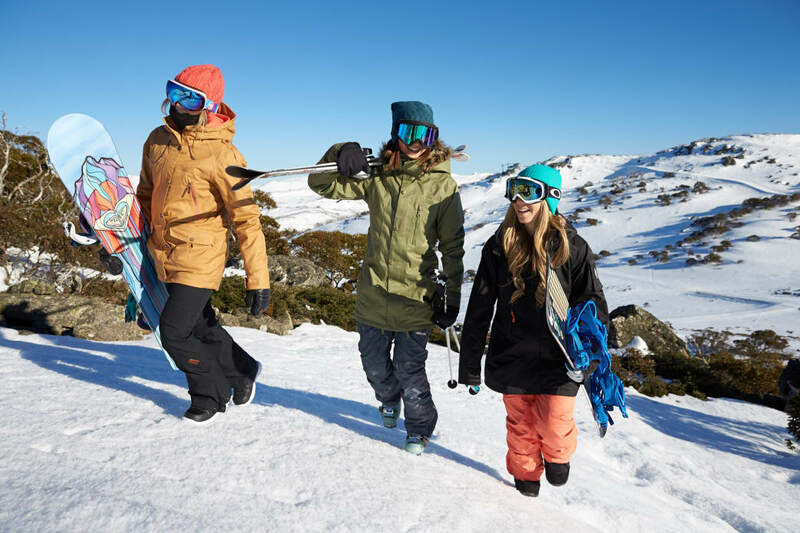 Snowboarders tend to have more comfortable boots and equipment, but they sometimes have to do a little walking between runs. Ski boots have a reputation for being terribly uncomfortable, but they’ve come along way since the early days when hard-sided ski boots were practically guaranteed to cut off circulation or leave blisters. Ski boots these days are much comfier than their predecessors from the seasons of yore. Still, when it comes to all-day comfort on the mountain (and how easy it is to walk into the lodge and out to the parking lot), snowboard boots are unbeatable. They’re warm and cozy, and they can’t force your legs into an unnatural position—they’re basically Uggs with a purpose. The first few days of picking up any new sport can be tough, but skiing and snowboarding are worlds apart in that regard. Skiing uses a lot of the natural movements you’re already familiar with—in other words, you’re used to moving both your legs independently, whereas having both feet strapped into the same board can feel intimidating at first. Most folks find that there’s a short honeymoon period with skiing where it feels like you’re learning (and improving) by huge measures in a short period of time. 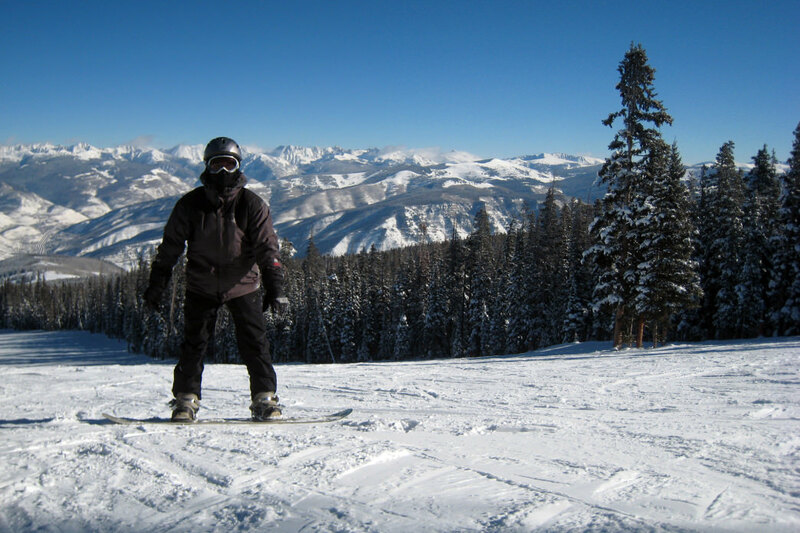 Snowboarding, on the other hand, can take a bit more practice to initially get the hang of it, much like surfing or skateboarding, which require the use of some of the same muscle groups. After that initial learning curve, though, it’s much easier to become an intermediate or advanced snowboarder. If you’re looking to make a long-term investment in snow sports, you could go either way; if you only have a week on the slopes, consider skiing, which you’ll likely feel more accomplished sooner. The experience on a lift is a little different for skiers and snowboarders. It’s not just the downhills you have to consider: you have to get up to the top of the mountain, too. Lifts are a beautiful thing—after all, they make it possible for us get in more runs—but they often present a challenge for newcomers. For skiers, negotiating lifts is pretty straightforward. You’ll need to take your pole straps off and look over your shoulder to be ready for the chair, but aside from that, there’s not much guesswork. For snowboarders, though, things can be tougher. You’ll need to unstrap one binding each time you get ready to get onto the lift, which also means doing some hopping about in the lift line. And depending on how surefooted you are, it can be a real test to end up on the side of the chair you’re less comfortable on. Bonus for skiers: those on two planks can get right to skiing downhill as soon as the chair hits the top of the slope, whereas snowboarders will have to strap back into their bindings, which for beginners often requires sitting down. Ever heard the expression “yard sale” on the mountain? Often used as a term of endearment, it refers to when skiers crash and burn—and spread their gear all over the slope, just as you would on your lawn on a Saturday afternoon. Skiers have to contend with two skis (which you can pop off with the right amount of force at the correct angle), not to mention poles. Snowboarders, on the other hand, are essentially immune to the plight of the yard sale. Your board is firmly strapped on and can’t go flying off, and there are no poles to worry about. In that sense, boarding is definitely the easier of the two sports. At most resorts, there’s a spot everyone tries their hardest to avoid. The catwalk to the long, mostly-flat run that generally brings skiers and riders around from one side of the mountain to the other, and while that might sound inoffensive, it can be tough to negotiate. For skiers, it’s a no-brainer: your feet are on two separate planks, so you can skate a bit and regain the momentum you’d otherwise lose when things flatten out. For boarders, on the other hand, it’s liable to bring your run to a complete standstill—literally. With no feet available to move you along, you’ll likely end up having to unstrap a foot (or accept a ride from a skiing friend) to get things going again. Which sport has the “it” factor? It depends which crowd you follow. There’s no point in pretending coolness doesn’t matter, but fortunately for both skiers and snowboarders, there’s something to recommend either sport. When it was first introduced, snowboarding was the super-cool, punk-rock thing to do, while skiing was widely considered (by younger audiences, at least) to be for old fogeys. In the intervening decades, though, things have changed considerably. These days, skiing is making a comeback, and there are tons of heroes to admire both on planks and boards. In other words, if you want to be cool, you could go either way. Hmm, seems about even, doesn’t it? While proponents of both sports can bend your ear for hours talking about why their sport is best, it boils down to which you think you’d enjoy more. So go ahead and give them both a try—there’s no law that says you have to stick to just one. You’ll likely gravitate toward one of the other as you progress. Written by Emma Walker for RootsRated Media in partnership with Rent Skis.